ATLAS is a particle physics experiment at the Large Hadron Collider (LHC) at CERN which is the world's highest energy proton-proton collider presently running. LHC begins operation in 2009 at the center of mass energy of 900 GeV and 2.36 GeV and since then has delivered p-p collisions at 7, 8 and 13 TeV. The ATLAS detector is searching for new discoveries in the head-on collisions of protons of extraordinarily high energy and will increase our knowledge of the basic forces that have shaped our universe since the beginning of time. It has already discovered the source of electroweak symmetry breaking (the Higgs boson) in 2012 and it has searched for new forms of matter such as supersymmetric states, putting limits on their masses. 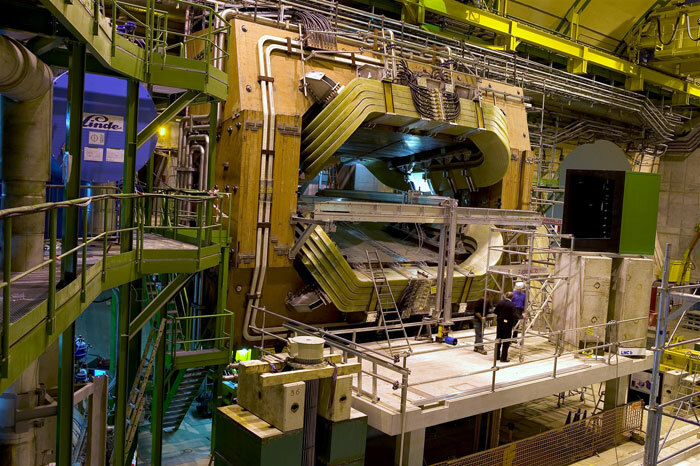 The group of INFN-Roma Tor Vergata has contributed to the construction of the RPC trigger chambers and to the front-end electronics of the ATLAS muon system. The KLOE detector is located on the DAFNE collider in Frascati, which is a e+ e- storage ring at high luminosity (10^33 cm-2 s-1) and energy around the Phi resonance (1020 MeV) that allows to exploit the entire "strange" mesons physics with very high statistic and low background. The apparatus has been optimized to detect charged and neutral decays of both Ks and Kl mesons. The aim is achieved with a detector composed by a large volume drift chamber surrounding the beam interaction region and an electromagnetic calorimeter. A superconducting coil with an iron return yoke is able to provide a longitudinal magnetic field, needed to measure the charged particle momentum. 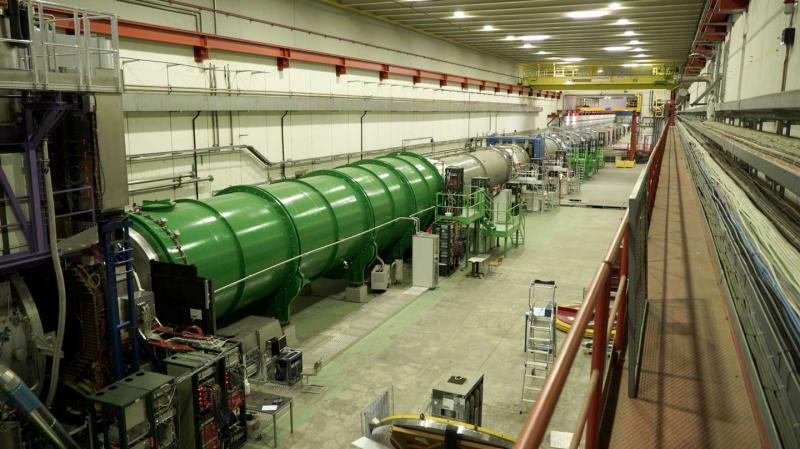 The LHCb experiment is a single-arm spectrometer for the forward direction designed to fully exploit the B-physics potential of the Large Hadron Collider under construction at CERN. At a design luminosity of about 2x10^32 cm-2 s-1, LHC is expected to yield about 10^12 b pairs per year, mostly concentrated at low polar angles with respect to the axis of the colliding beams. The main goal of LHCb is to provide accurate measurement of all the angles of the Unitarity Triangle(s), eventually demonstrating the need for new physics beyond the Standard Model. The LHCb apparatus has been designed to trigger efficiently on both leptonic and hadronic B decays and to allow particle identification capabilities - in particular pi/K separation - over the whole momentum spectra of B decay products. The detector consists of a high-performance vertex detector, a multi-station tracking system integrated by a 4 Tm dipole magnet for charged particle momentum measurement, two RICH detectors for particle identification, a calorimeter system for photon/electron identification and neutral particle energy measurement and a muon system for muon identification. The Roma Tor Vergata group is involved in the design and construction of the muon system. The NA62 experiment aims to measure the Branching Ratio of the very rare kaon decay K+ -> pi+ nu nubar at the CERN SPS to make a test of the Standard Model in the flavour sector and to deepen the knowledge of the CKM matrix. The Roma Tor Vergata group is involved in the design and construction of the trigger electronics of the liquid krypton electromagnetic calorimeter.